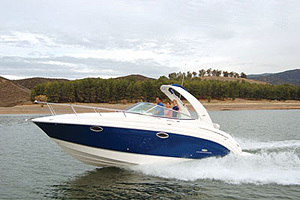 The new flagship of Chaparral’s runabout fleet is an all-around attraction, with comfort, security, and even an enclosed head. Some people can go their whole boating lives in nothing but runabouts. They don’t succumb to “two-foot fever” and end up with a 35-foot cruiser. They don’t care for center consoles or deckboats or spending the night aboard. 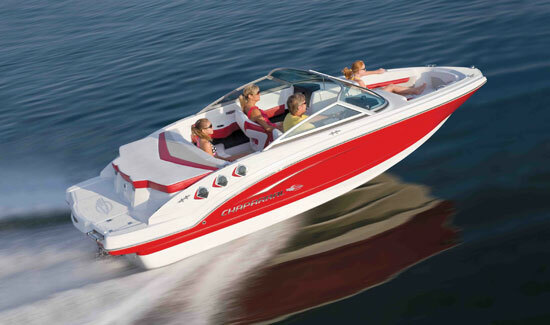 They like day boating, and there is perhaps no platform better suited to that than the open-bow, sterndrive runabout. 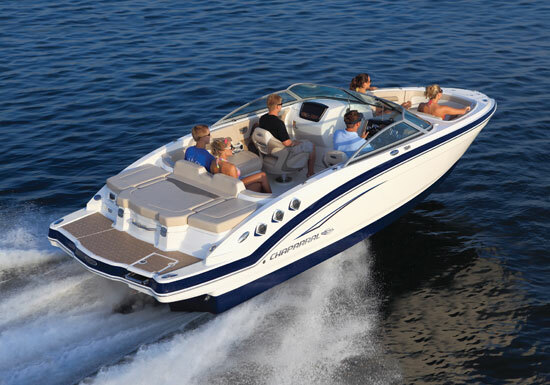 The Chaparral 246 SSi blends a solid combination of comfort, security, and performance. But there comes a time when a boater wants that one last boat, the one to keep through retirement. It should be large enough to be comfortable and agile enough to be fun—and it very well could be the new-for-2011 Chaparral 246 SSi, the largest SSi runabout in the boatbuilder’s line. There’s plenty of stowage forward for cool beverages and watersports gear. Roomy enough to bring along children and grandchildren, the 246 SSi is built with plenty of seating capacity and a deep cockpit and bow area for enhanced security, especially for the kids. There’s also a small, step-down head compartment with a locking door and porthole. Proper “facilities” such as a PortaPotty or a pump-out commode are optional at $360 and $448 respectively. 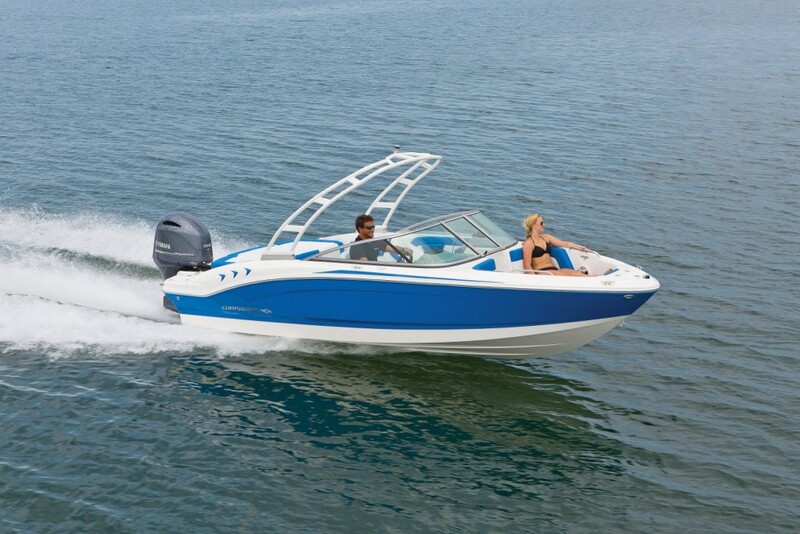 Other options include a wakeboard tower with board racks ($3,975) and a built-in air pump for $88. Base price for the Chaparral 246 SSi is $60,980 with a 300-horsepower Volvo-Penta 5.7L Gi SX with catalyst exhaust. That’s the best deal in terms of horsepower per dollar, but considering that the boat weighs 4,400 pounds, it might be smart money to get a dual-propeller drive. 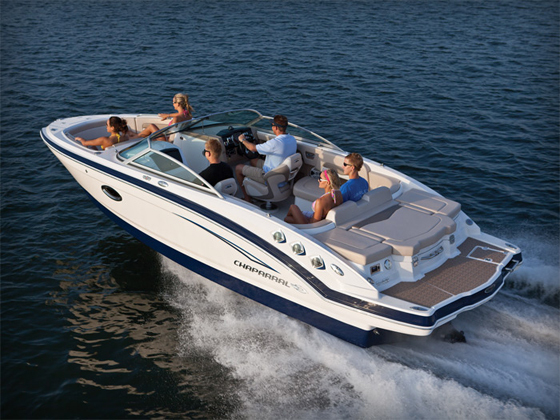 Buyers can get up to 320 horsepower if they want, but the least expensive twin-prop setups are the 270-hp Volvo Penta 5.0L GXi ($61,431) and the 260-hp MerCruiser 5.0 MPI with a Bravo Three drive ($62,391). Because of EPA emissions standards, all engines are now equipped with catalyst exhaust. An enclosed head area will be a big attraction for some on full days afloat. Standard equipment is enough to get the job done, which keeps the price low, but a few options packages go a long way toward making the boat that much nicer, especially when the likely buyer is not new to boating. Some options that would be nicer as standard equipment include a galvanized anchor ($88), a bow filler cushion ($300) and walk-through deck seating ($192). That doesn’t seem like too much to ask. 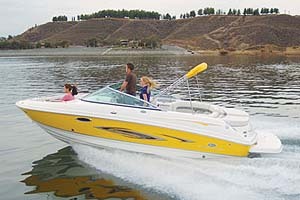 However, Chaparral did include some other items as standard equipment that even the most seasoned boater will appreciate. 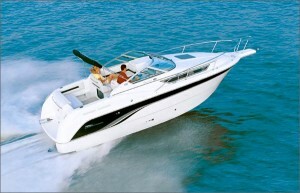 For example, the 246 SSi comes standard with a bimini top and a 25-quart cooler mounted beneath a rear sunpad cushion. Chaparral put it in just the right place because it’s easily accessible from the cockpit and also from the port side of the swim platform. That way, it’s convenient to bring aboard when weighed down with snacks, drinks, and ice. It’s also great that the boat has a fuel filler on both sides. A 25-quart cooler is accessible from both the cockpit and the swim platform. 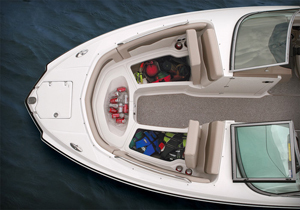 Up forward, the bow has another cooler -- self draining, of course -- and stowage compartments underneath hinged cushions. 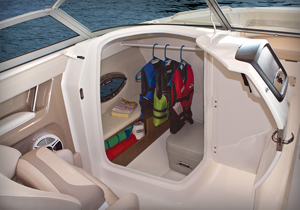 The bow walkway also comes standard with a door, which is great for blocking wind or for keeping little ones from wandering up to the least stable area of the boat while under way. Sole space in the bow is ample, as it is in the cockpit and on the wide swim platform. 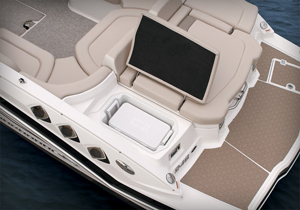 These are the design features and thoughtful touches of a manufacturer with a lot of experience in building boats. 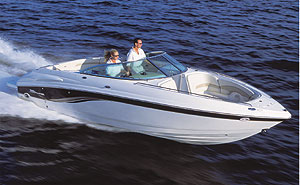 They are also the kinds of things experienced boaters look for in a runabout, even if it isn’t their first.